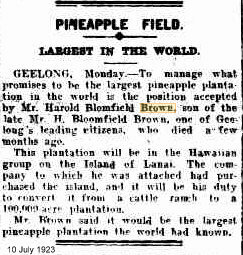 Harold Blomfield-Brown born 22 April 1885 in Geelong Victoria Australia and died in the age of 78 years in 1964. 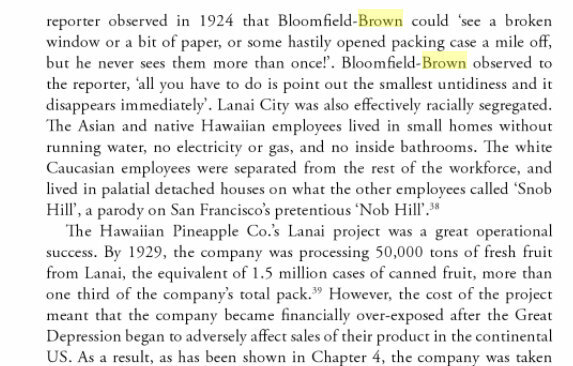 He was born as son of Henry Blomfield Brown and Minna Spencer Wills. 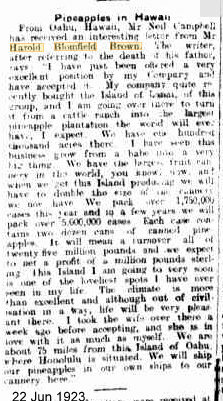 He owned an ananasplantation in Honolulu. son and daughter-in-law, Mr. and Mrs.
at the Oriental Hotel, Collins street.